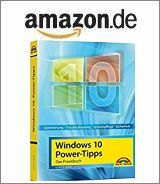 [German]On September 12, 2017 (Patchday), Microsoft released various security updates for Microsoft Office 2003,2007,2010,2013 and for Microsoft Office 2016 as well as for SharePoint Server. Here is the list of updates. These updates are only valid for the MSI Installer version of Microsoft Office. Click-to-Run installations may receive updates separately. The update history for the MSI Installer versions of Office can be found on this Microsoft page. The non-safety relevant updates from September 5,2017 are listed in the blog post Microsoft Office non-security updates (September 5, 2017).